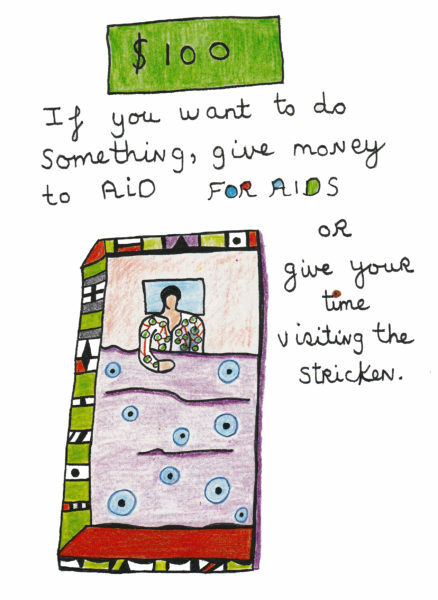 All her life Niki de Saint Phalle was drawn to bigger causes than herself. In this video interview from 1969, while she lives in Europe, Niki de Saint Phalle made a some strong political statement suggesting that Black Power and Women Power should join forces to create a “new world of joy”. Niki de Saint Phalle is well-known for her NANAS, and through sculpture she addressed women’s roles very early on: from brides to births and finally her army of NANAS coming to take over the world, even in the form of architecture. 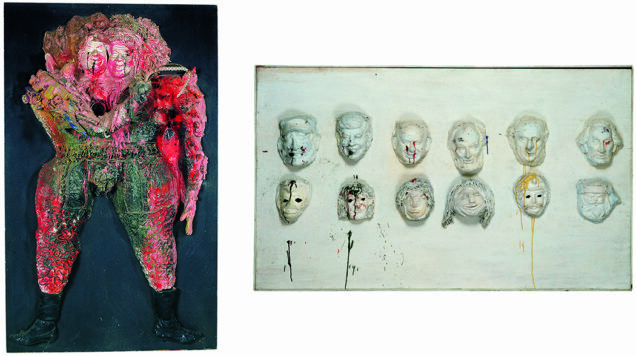 In 1963, after the Cuban Missile Crisis and haunted by the nuclear threat, Niki de Saint Phalle creates two significant and rebellious works: Heads of State and Kennedy and Khrushchev. In the first one, the artist points her rifle at: Castro, Kennedy, Khrushchev, Lincoln, de Gaulle and Washington, guilty of an imminent disaster and shoots them. In the second one, a reddish Tir on a dark back ground, she represents Kennedy and Khrushchev, the two mighty leaders, forced to collaborate, sharing the same body. A woman’s body. The piece was judged too offensive to be shown during Paris third Art Biennale and was withdrawn. Few months later, President Kennedy was assassinated in Texas. Kennedy-Khrushchev, 1962 © Niki Charitable Art Foundation, All rights reserved. Heads of State (Study for King Kong), 1963 © Niki Charitable Art Foundation, All rights reserved. 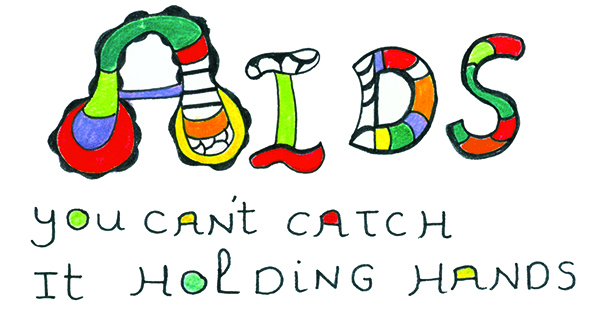 Niki de Saint Phalle moved back to America in 1993. She settled down in Southern California which she found diverse and young and where she became to eventually feel at home. Etienne Beaulieu who developed RU-486 in 1981, the revolutionary abortion pill, was a long time friend of Niki and introduced her to scientists like Francis Crick who co-discovered DNA in the 1950’s and Roger Guillemin known for hormone-related discoveries and the establishment of the world-famous Salk Institute. In 2001, after G.W Bush’s nomination as 43rd President of the United States, Saint Phalle created a series of 4 rarely seen, politically-engaged lithographs. They tackled important societal matters she cared about, which are still being debated today, in America and worldwide. 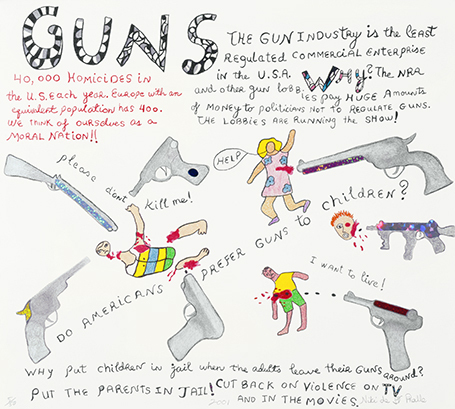 Guns, 2001 © Niki Charitable Art Foundation, All rights reserved. 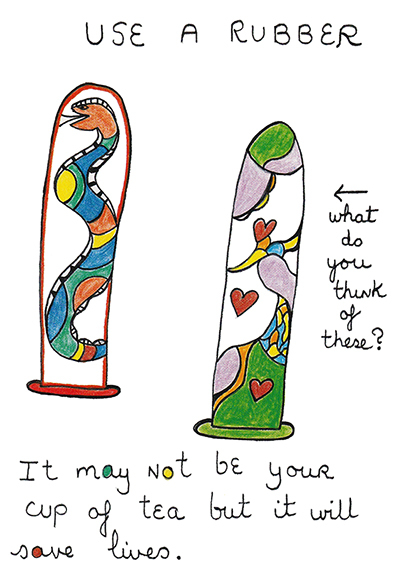 In Guns Niki de Saint Phalle advocates against the gun industry’s lack of regulation. With adorned letters, drawings and glittering stickers, she denounces the NRA (National Rifle Association) and other gun lobbies for corrupting politicians. With gory details she shows three kids being shot, terrible fatalities which still hit the headlines nowadays. With it Saint Phalle intends to create dialogue and calls to action. In Abortion-Freedom of Choice she defends women’s rights. With the same technique as in Guns, Niki de Saint Phalle discusses her opinions on World Hunger, teenage motherhood, attacks on abortion clinic and domestic abuse. Global Warming illustrates the threat of environmental neglect and G.W Bush caricatures the Republican President at that time who, according to her, personified all these plagues. Tomorrow, November 8th, history is made. Don’t forget to vote!